Salem, Massachusetts, is best known for a dark moment in history when the town was overtaken by hysteria surrounding suspicions that witchcraft was taking place there. The Salem witch trials are now known throughout the world and have made this small town a common household name. 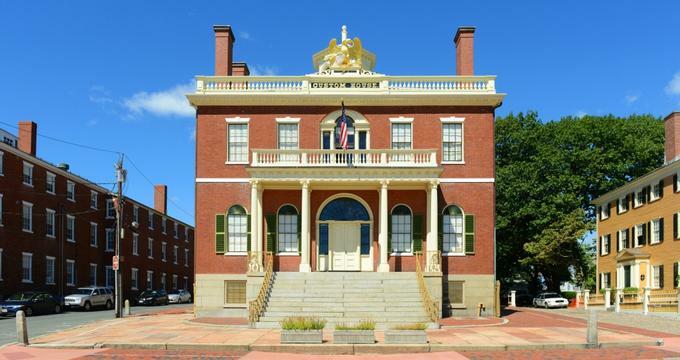 Many of Salem’s attractions focus on the time when the “trials” were taking place in 1692. However, visitors will also find parks such as Breakheart Reservation, recreational activities such as kayaking in the sound and enjoying nearby Singing Beach, and many examples of colonial architecture and beautiful historical homes to explore. 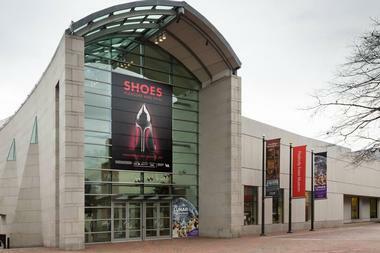 The Peabody Essex Museum is a well known and respected art museum that ranks among the largest art museums in the country. It was created by a merger of the Essex Institute and the Peabody Museum of Salem, and now has one of the largest and most significant collections of Asian art in the United States. There are more than 1.3 million pieces in the museum’s collection, including 22 historical buildings. They have particularly strong collections of art and cultural artifacts related to maritime history and art as well as American, Oceanic, African, and Asian export art. There are two large libraries on site with more than 400,000 books and manuscripts. 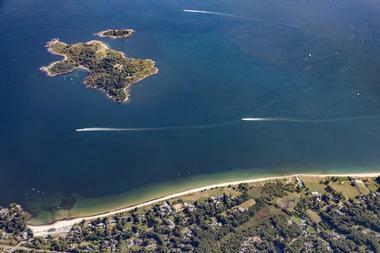 Misery Islands is the name of an 87-acre nature reserve comprising Great and Little Misery Island in the Salem Sound. The islands got their ominous name from a shipbuilder named Robert Moulton, who was stranded on the islands in 1620 during a bad snow storm. At various points in time the islands have had buildings, businesses, and residents; however, at present the islands are uninhabited. 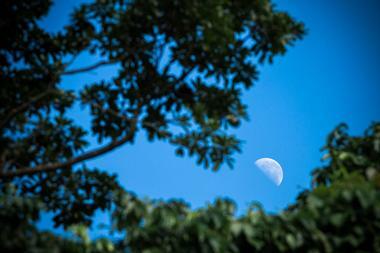 A highlight of visiting the islands are the views that you can enjoy of the North Shore and Salem. There are more than two miles of hiking trails on the larger of the two islands, which take visitors through meadows, to overlooks, across stony beaches, and more. You can access smaller Little Misery Island by wading across a shallow channel when the tide is low, where you can see what is left of the shipwrecked steamship. 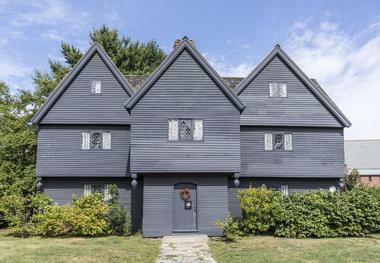 The Witch House, officially known as the Jonathan Corwin House, was the home of Judge Jonathan Corwin and is the only remaining structure to have had direct ties to the famed 1692 Salem witch trials. The home was built between 1620 and 1640 and was owned by the Corwin family through the mid 19th century. 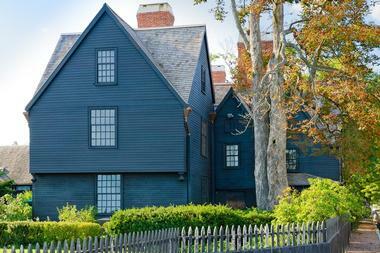 Tours of the home provide a unique glimpse of everyday life in the 1600s as well as the historic events of the witch trials. 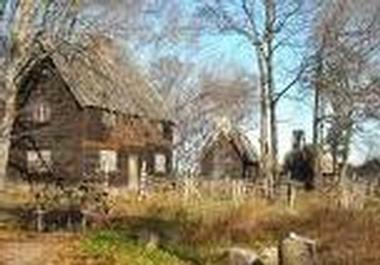 Visitors will learn about the architecture, family life, and home furnishings of the 1600s. Both self-guided and docent-guided tours are available. 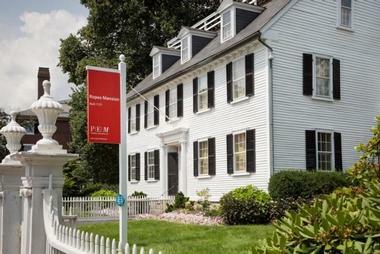 The Historic New England Phillips House is a house museum occupying the site of a Federal-style mansion. The house contains four intact rooms, which once made up part of an earlier house and were moved to the site in 1821. It got its name from Anna Phillips and her husband Stephen Willard Phillips, who moved there in the early 1900s. They renovated the house in the colonial revival style and added a family collection that had been gathered five generations of her family. Today, the house is the only mansion on historic Chestnut Street that is open to the public. Tours occur every half hour and give visitors a clear picture of how people lived in the early 20th century. 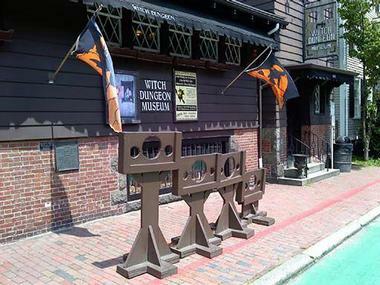 The Witch Dungeon Museum will transport you to Salem circa 1692 through moving live reenactments of the witch trials. The performances are done by professional actresses in period costumes and are based on actual historical court transcripts from the 1692 trials, which resulted in the death of 19 of more than 150 accused “witches.” The museum also features a replica dungeon that resembles those where accused witches may have been held. The museum is open seasonally and group rates are also available. For those who wish to explore more of Salem, there are combination tickets available, which also provide access to the Witch History Museum and the New England Pirate Museum. Breakheart Reservation is a large public park occupying 652 acres in the towns of Wakefield and Saugus near Salem. The park features a variety of landscapes, including a winding section of the Saugus River, two lakes, rocky hilltops that offer scenic views, and a hardwood forest, all ripe for exploring. The park has a visitors center with educational programs and information as well as exhibits about the park’s wildlife and history. 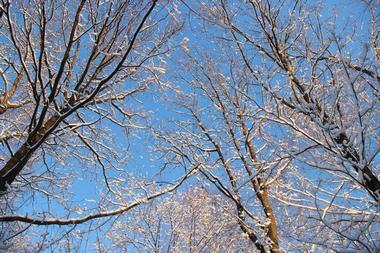 There are a number of trails available for hiking, biking, and skiing. The lake offers plenty of fun, especially in the summer, with a swimming beach available on the northern end of Pearce Lake and fishing permitted in the lakes. 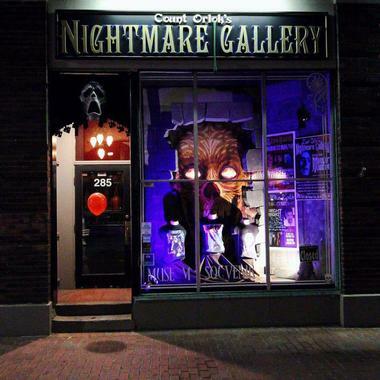 Billed as “Salem’s only Monster Museum,” Count Orlok’s Nightmare Gallery is an interesting and unique museum dedicated to horror, science fiction and fantasy movies, monsters, and other fright-inducing subjects. The museum is especially popular with horror movie fans, with many exhibits related to the darker side of cinema, featuring tributes to actors, directors, and special effects artists. Life-sized reproductions of vampires, zombies, demons, madmen, and much more all crafted by Hollywood special effects artists make the museum truly memorable and an exhilarating experience. They host a seasonal haunted house that is considered one of the best in the country and is a must-do for horror fans who visit close to Halloween. 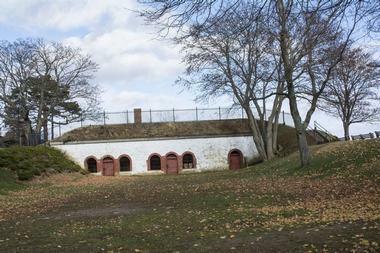 Fort Sewall is a historic fort on the Atlantic coast in Marblehead. 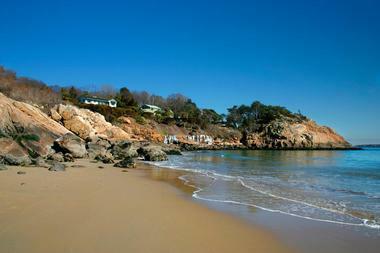 It sits at the most northeastern point of the Marblehead Peninsula and overlooks the entrance to the harbor. The fort was built in 1644 and is one of the oldest English forts on the coast of the United States. During the American Revolution, the fort was re-built along with a blockhouse. It also played a role in the War of 1812 and found its greatest moment in history when the U.S.S. Constitution sought refuge here from two British frigates that were in pursuit. Today, the site still contains underground rooms and bunkers, and the headland is open as a community park for the public to enjoy. There are annual Revolutionary War re-enactments as well as other public programs presented at Fort Sewall from time to time. High Rock Tower Reservation is a municipal park in the city of Lynn. The park covers approximately 4.5 acres and contains the summit of a hill that offers beautiful views of the surrounding area, including the nearby Atlantic Ocean. The centerpiece of the park and its namesake feature is High Rock Tower, an 85-foot stone tower built in 1905. A previous tower stood in its place and was burnt to the ground during a celebration at the end of the Civil War. This original structure was built by Jesse Hutchinson from the Hutchinson Family Singers, which was a well-known abolitionist singing group that toured the northern U.S. and was quite involved in political activism. The tower is periodically opened for the public to use its telescope for free, with several opportunities typically scheduled during the summer for this purpose. 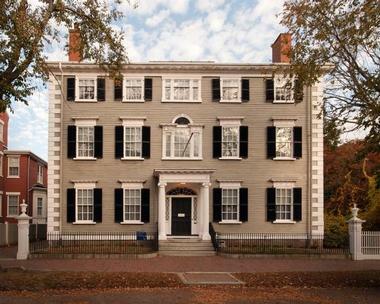 Hocus Pocus Tours is a tour company offering an award-winning historical tour of Salem. The tours take about 90 minutes and are completed on foot. 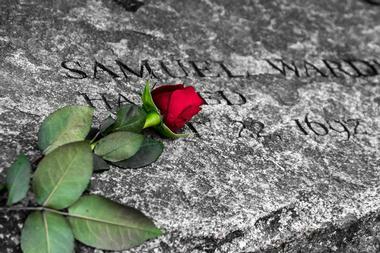 During the tour, you will learn many things about the history of Salem, focusing especially on the Salem witch trials. The tour company shares a name with the blockbuster hit Hocus Pocus, and you will get to encounter some of the sights that were used in the movie, although the tour is based on the town’s history rather than on the movie. There are more than 15 tour stops in all, and the tour is guided by a gifted storyteller who really brings to life the history of this interesting town. The House of Seven Gables is a house museum occupying a colonial mansion from 1688, and was made famous by Nathanial Hawthorne’s novel of the same name. The seven-gabled house was originally built for Captain John Turner and it remained in his family for three subsequent generations. The house has gone through some additions and remodels throughout the years, and in the early 1900s the house was restored as a museum, which included reconstructing the missing gables that had previously been removed. In order to appeal to the expectations of tourists, the restored house is more akin in many ways to the one described in Hawthorne’s book than the historical original. The house is next door to Hawthorne’s birthplace, which is covered in the admission fee as well. The Essex National Heritage Area helps preserve the history surrounding a number of significant sites in the Salem area. Many of the structures that witnessed and played a part in the witchcraft trials of 1692 remain today. Showings are offered of a 35-minute film called the Salem Witch Hunt Film, which highlights many of the places and includes actors in period costumes. Additionally, they offer the Myths and Misconceptions Walking Tour, which visits many of the significant sites. Tour guides lead guests on a journey of learning about the reality of the events leading up to the witchcraft hysteria as the group visits the various sites. 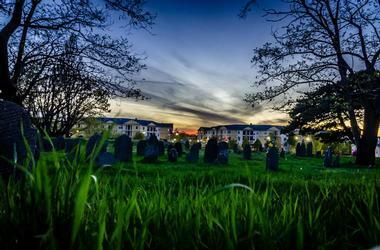 The Old Burying Point Cemetery is set just behind the Salem witch trials Memorial and is the town’s oldest cemetery. 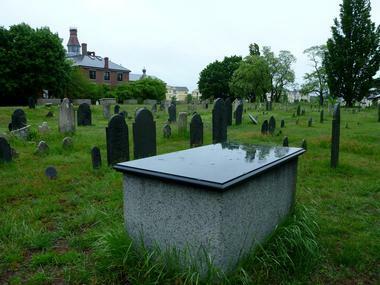 Many famous residents of Salem are buried here. Perhaps the most famous person to be buried at Burying Point is Mary Corey, who was accused of being a witch in the Salem witch trials and was a key player in this dark side of Salem’s history. Many of the inscriptions on the headstones are illegible today due to the ravages of time; however, the cemetery still sees many visitors each day, including both individuals and tour groups who come to see the final resting place of some of the town’s most significant historical players. Pickering Wharf is a marina and harborside shopping destination with historic landmarks and other interesting features as well as local shops and plenty of waterfront dining opportunities. 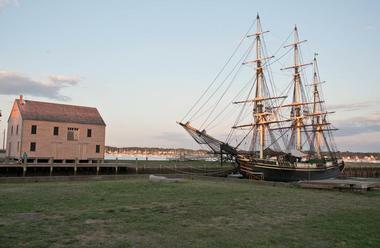 Many are attracted to the wharf by the huge replica of the Friendship of Salem ship, which is docked just offshore. The ship is quite interesting to visit and has been restored in very careful detail. Free tours of the ship are offered during certain time periods. There is a little sandy beach nearby as well as plenty of shops to walk in and out of while you leisurely shop for souvenirs or other items. You certainly won’t go hungry during your visit with a wide variety of restaurants also available. The Pioneer Village, which also goes by the full name of Salem 1630: Pioneer Village, was originally built in 1930 to be a theatre set. The play portrayed life in Salem in 1630, when John Winthrop and the families of Simon Bradstreet and Thomas Dudley first arrived in Salem. The set was originally built as a temporary structure, but the residents of the area became quite fond of it and so it stayed. It was opened in 1930 as the first living history museum in the country. Visitors have the opportunity to learn about the life of English settlers. Structures include the governor’s house, a blacksmith’s shop, a saltworks, a sawmill, several cottages, and more. The Ropes Mansion is a Georgian colonial mansion from the 18th century. It is located in Salem’s McIntire Historic District alongside several other historical buildings and is operated by the Peabody Essex Museum. The house was built in the late 1720s as a residence for Samuel Barnard, who was a merchant. It is named for the Ropes family, which lived in the house for more than 100 years. Today, the home is operated as a house museum and retains many of its original features, especially on the exterior. The interior underwent extensive renovations in the mid 1800s. There is a large garden in the back, which was added in 1812 and is a highlight for many visitors. Saugus Iron Works National Historic Site is a federally managed historic site that preserves the location of the first integrated ironworks in the United States. The ironworks was established by John Winthrop the Younger and was operated from 1646 to 1670. The site includes several reconstructed elements, including the blast furnace, the forge, the rolling mill, and a 1/4-ton drop hammer. 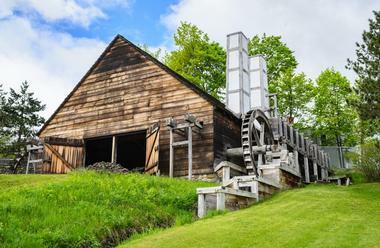 The mill got its power from seven large waterwheels, which are connected by large gears made from wood. The site also has a wharf where iron would have been loaded onto ships as well as a 17th century home that has been restored. 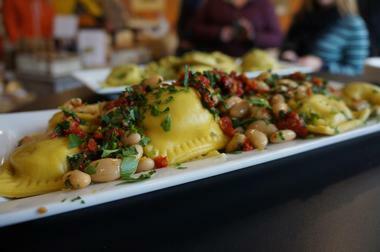 Salem Food Tours is a tour company offering culinary tours of Salem. Tour-goers learn about both historic and modern Salem, guided all the while by their taste buds as they sample local delights. The company is operated by local guide Karen Scalia, who has a deep passion for cooking and local cuisine. In addition to focusing on the culinary heritage of the city, the food tours explore Salem’s rich history. Tour partners offer fresh, homemade foods, local seafood, specialty drinks, and more. In addition to their afternoon food tours, the company also offers morning coffee walks. All of the tours include five stops or more, and every tour is unique. Salem Kayak, which is officially known as Rock, Paddle, Surf Kayak Coaching, offers some of the best quality kayak experiences in the region. 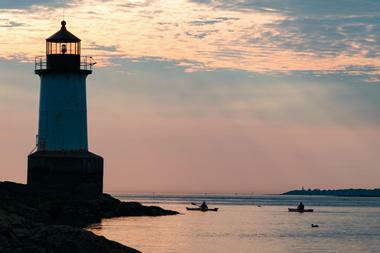 There are several options for those who wish to explore Salem, the New England Coast, and the North Shore by kayak, and they offer formal kayak lessons as well as on-demand tours for individuals and groups. There are options available for both complete beginners and more experienced kayakers who wish to hone their skills and push their limits. The tours mostly begin from the Willows and Winter Island, but other locations are also possible on occasion. The tour route depends on the weather and water conditions and may include locations such as Salem Harbor, Manchester, Salem Sound, Coney Island, and the Danvers River. The Salem Maritime National Historic Site is a National Historic Site that comprising 12 historic buildings, a replica of a tall-ship, and approximately 9 acres of property set on the waterfront of Salem Harbor. There are numerous maritime artifacts, structures, and collections that make up the historic site, including the Derby House and Derby Wharf, the Narbonne House the West India Goods Store, which once held items imported from the West Indies, and the iconic Friendship of Salem, a reproduction of a 1797 ship that is operated as a museum dedicated to maritime history and the ship itself. 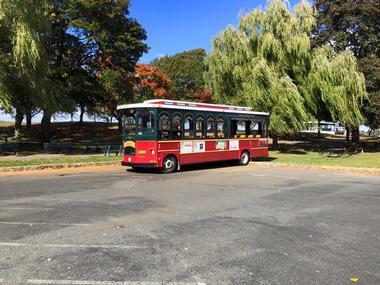 Salem Trolley is a sightseeing tour agency offering trolley tours of Salem. The tours are a unique and exciting way to explore the city’s colorful and interesting past. The trollies are also a convenient form of transportation through the city’s cultural and historic attractions. 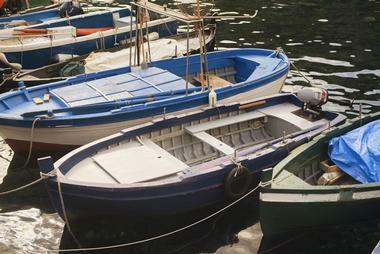 Tour-goers can attend a 1-hour tour that is narrated by a talented local tour guide. 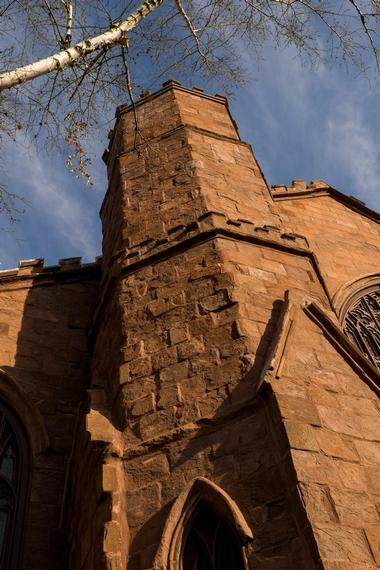 The tour travels about 8 miles and passes some of the city’s most significant attractions, such as the Charter Street Burial Ground, Witch Dungeon Museum, the Salem Witch Museum, Chestnut Street, and the House of the Seven Gables. Throughout the day you can feel free to hop on and off the tour at any of the 13 stops. The Salem Witch Museum is a museum dedicated to the famous dark period of time in Salem’s history known as the Salem witch trials of 1692. The museum’s main exhibit is based on official trial documents from the time period. The exhibit comprises 13 life-sized stage sets brought to life with figures, lights, and moving narration. The museum also has an exhibit about the history of witches in popular culture, including witchcraft practices today, the practice of witch hunting, and various stereotypes related to witches. The museum is open all year round, and group tours are available. Singing Beach is a nearly half-mile stretch of sand in Manchester. There is an on-site bathhouse that was constructed in the early part of the 1920s as well as a small privately operated snack stand offering refreshments for purchase. Facilities also include on-site parking and restrooms. The beach is one of the most popular attractions on the North Shore, partly due to the beach’s unique phenomenon: The sand “sings.” Visitors who shuffle their feet through the sand in the dry parts of the beach will hear a distinct and unexpected sound that resembles a squeak. The beach is very popular and the parking lot often fills up early in the day, so plan to get there early if you’d like to visit the beach. 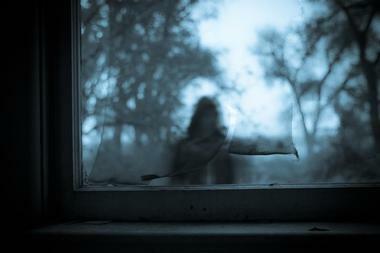 Bewitched after Dark is a tour company that offers both day and evening walking tours of Salem. The tours examine Salem’s colonial history, the era of the famous Salem witch trials and the hysteria surrounding witches in 1692, and other aspects of witchcraft in Salem. The tours are led by local historians who are passionate about sharing the history of their town. The tours depart from Bewitched in Salem, which is also a store offering a unique selection of merchandise. Some find the items on sale here a bit unsettling, but many consider them a perfect souvenir of their time touring Salem and learning about the dark side of its history.